BEIJING, China, April 1 (ENS) – The northern Chinese cities of Beijing, Tianjin, and 26 smaller cities in the provinces of Hebei, Shanxi, Shandong and Henan are taking concerted action to control the blanket of thick, choking smog that shrouds them in winter. Targets and deadlines were outlined in a new detailed action plan, drafted by several ministries and provincial governments, according to China’s official news agency Xinhua. 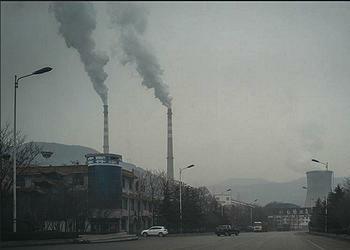 Air pollution is most acutely felt in northern China in winter. While high concentrations of industrial and vehicle emissions are the main culprits, static air and the use of coal for winter heating worsen the situation, experts say. Chinese Premier Li Keqiang said in March that coal-burning, automobile exhausts and dust will be reduced to tackle the smog, although he admitted that will take time to solve the problem. On March 15, Premier Li said China will set up a special fund and gather the country’s best scientists to find out the “unique” cause of China’s winter smog. “The cause of smog should be found out as soon as possible so our response will be more effective,” Li said addressing a news conference after the close of the annual national legislative session. The government is determined to spend as much as needed for the research, he said. Beijing Municipality, population 21.7 million, is surrounded by Hebei Province and the neighboring Tianjin Municipality to the southeast. Together the three divisions form the Jingjinji metropolitan region, China’s national capital region. 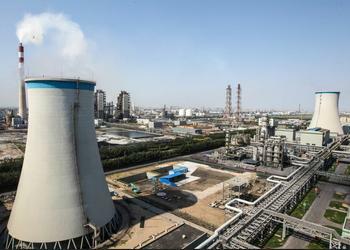 Many of the country’s major steel-makers, coal mines, aluminum producers and chemical plants are located in the provinces around Beijing. The region’s 200 coal-fired power plants spew emissions into the air. 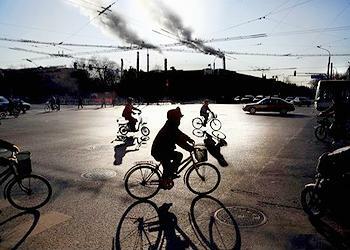 To curb winter emissions, the province plans to adjust its energy structure and lower coal consumption, Hebei provincial Party head Zhao Kezhi said at an air pollution control meeting on Friday. The new action plan requires cities with dense heavy industries in the provinces of Hebei and Henan to implement a seasonal reduction on steel output capacity. Aluminum and chemical plants in the province also will scale down production. This year, the province of Hebei will require 1.8 million households in 134 counties to replace their coal-fired furnaces with gas or electric heaters, said Zhao. Energy planning official Ma Haiyan with Langfang City, one of the coal-free zones near Beijing, said the city government is offering a grant of 7,900 yuan (US$1,150) or 9,800 yuan to those who upgrade to gas or electric heaters. Also this year, the province will launch a campaign to reduce consumption of inferior coal, said Zhao. By the end of October, just before next winter, 13 cities, including Beijing, are expected to close the majority of polluting businesses that operate on a small scale, provide low-end services, hold insufficient licenses, or do not have sufficient emission treatment facilities. Regarding car exhausts, all 28 cities will install monitoring facilities to watch over diesel and high-emitting petrol vehicles. The port of Tianjin will stop receiving coal by road, and most cargo will be transferred to rail. Despite years of efforts to address air pollution and a substantial drop of average PM2.5 density, large parts of northern China still suffer from frequent and severe smog in winter. PM2.5 refers to atmospheric particles less than 2.5 micrometers in diameter, about three percent the diameter of a human hair. These fine particles can bypass the nose and throat and penetrate deep into the lungs and circulatory system. Studies have found a close link between exposure to fine particles and premature death from heart and lung diseases. Fine particles are known to trigger or worsen asthma, heart attack, bronchitis and other respiratory problems. According to a national air quality action plan issued in September 2013, the Beijing-Tianjin-Hebei region should cut PM2.5, a key indicator of air pollution, by 25 percent from the 2012 levels by 2017. The average PM2.5 density in 2016 in the region is 71 micrograms per cubic meter of air, down 33 percent than the 2013 levels. But the density in January and February this year surged 48 percent in 13 cities of the region, Xinhua reports. Now, Hebei Province aims to further cut PM2.5 density by 10 percent in 2017, and by 15 percent in winter, from the 2016 levels. The province this year will also launch a campaign to reduce consumption of inferior coal, said Zhao. Coal accounts for 86 percent of the entire structure of primary energy consumption, and bulk coal feeds over 88 percent of combustion sources, so coal is a major contributor to PM2.5 emissions. To motivate local officials, China will use a “name-and-shame” list. The plan calls for Ministry of Environmental Protection officials to publish a monthly list profiling the work undertaken by the 28 cities to improve air quality. It will be an important criterion on the performance evaluations of local officials.